We often think of cities in infrastructural terms, but a city is more than just a dense metropolitan mass where large numbers of people work and live – it’s an ideological construct that reflects its creators’ attitude towards people, society and how life is meant to be lived. Bike-friendly cities like Copenhagen are built to a human scale with the needs and wants of their citizens in mind. The ruthless gentrification of inner London, on the other hand, is a monument to Thatcher’s callous legacy. Urbanism is explicitly political, but rarely is it as explicit as it is in Belgrade: over the last two decades or so, as the Serbian capital has transitioned from socialism to the sort of crooked crony capitalism that dominates so much of eastern Europe, this ideological shift has begun to be reflected in the city itself. Much like in Russia and the rest of the old Eastern Bloc, successive Serbian governments have had to find ways of transferring formerly state-owned assets into private hands – a process that has often been marred by flagrant corruption. 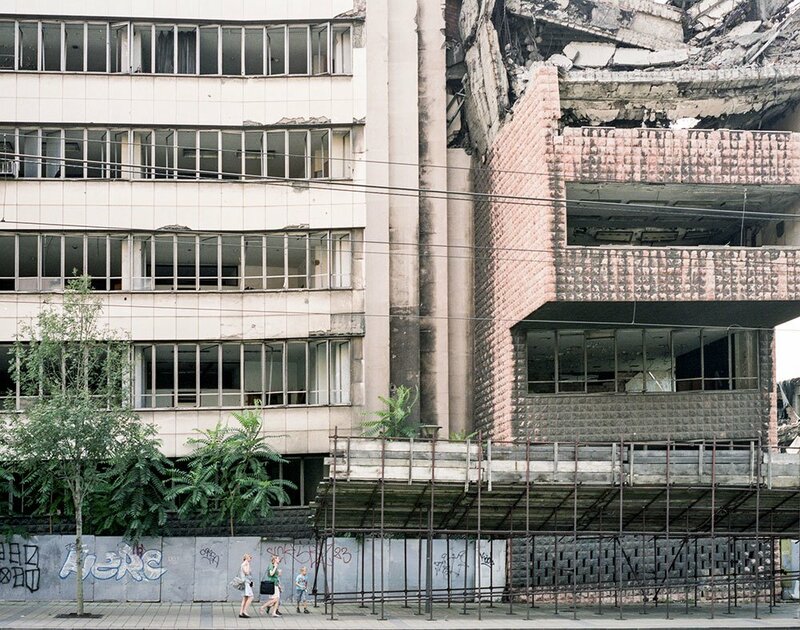 While the initial smash-and-grab typically centred around highly lucrative heavy industries and natural resources, in recent years Serbia’s Yugoslav-era “cultural heritage” (to use official jargon) has been opened up to the cruel indifference of the free market. Back in the Tito-era heyday of Yugoslavia, the booming social welfare state invested heavily in the enlightenment of its citizens. By the 1960s, literacy across the six constituent republics had risen from 10-30 per cent in some regions to 91 per cent as a whole and university education was, and remains to this day, free to all. Most towns, even tiny provincial backwaters, were equipped with state-subsidised youth and cultural centres that served as concert spaces and cinemas; the arts weren’t viewed as bourgeois interests open only to those that could afford to hang oil painting on their walls, but rather as a nourishing force that could collectively elevate Yugoslavia on a civilisational level. Tragically, that progressive ideal died in the Yugoslav wars, and now these cultural assets have been left to fend for themselves in the unsentimental lion pit of neoliberal capitalism. 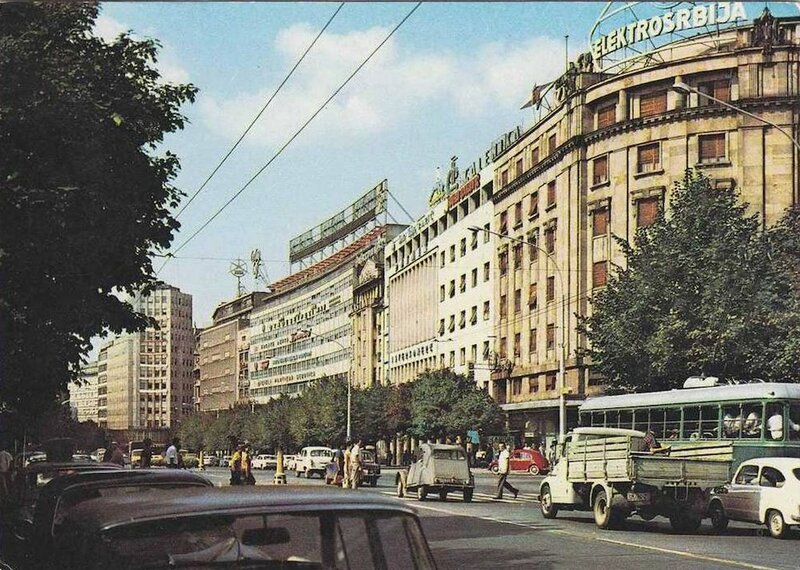 Yugoslav-era postcard showing Belgrade in the 1970s. Image: MATC2010 under a CC licence. 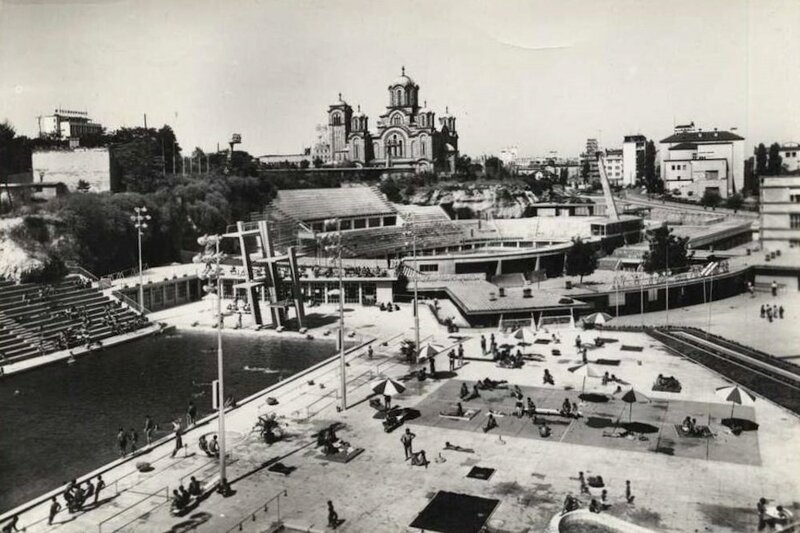 Yugoslav-era postcard showing public bathing in Belgrade in the 1960s. Image: Démodé Photos under a CC licence. Because art has rarely been much of a money-maker, many prospective investors are only interested in buying up small cinemas and bookstores because they tend to occupy prime pieces of real estate in the city. To the market-driven mind, these cultural assets are worth most as pieces of property and would offer a greater return on investment if they were to be repurposed as purely commercial ventures, like supermarkets or cafes. Foreseeing that the unregulated market would transform the country into a cultural wasteland and provoke a backlash from a politically engaged citizenry that had only recently deposed a despot, the state stipulated that anyone buying up a piece of cultural heritage for the cut price figures that they were being sold at must agree to utilise it for the purposes for which it was originally built – so theatres had to remain theatres and a bookstore couldn’t suddenly be converted into a betting shop. 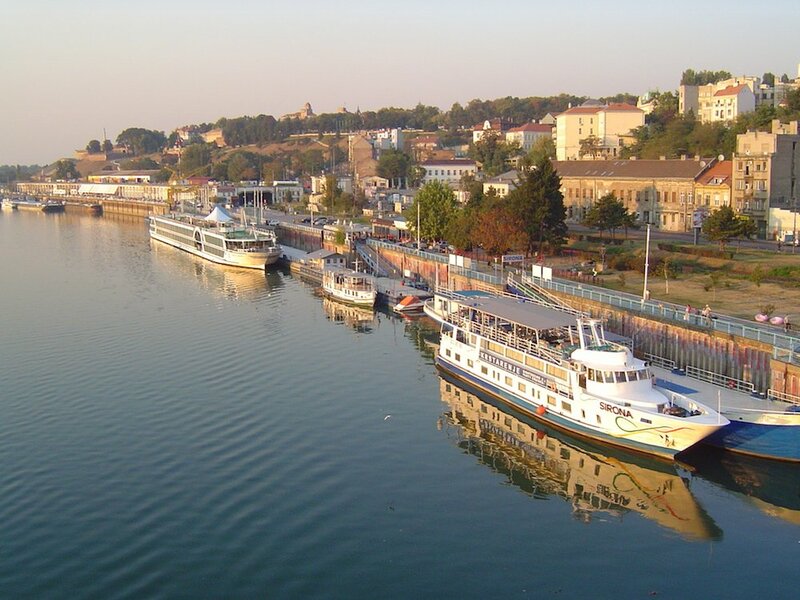 But in a country as corrupt and dysfunctional as Serbia, the law differs in theory and practice, and many of these privatisations were carried out with minimal oversight. Although government agencies are able to repossess any cultural asset not being utilised for its intended purposes, these regulations aren’t difficult to circumvent: I know of one instance where a Belgrade-based bookstore was transformed into a photocopying business by its new owner. To avoid sanction, they kept a few textbooks for sale by the counter, nominally fulfilling their obligation to the state. 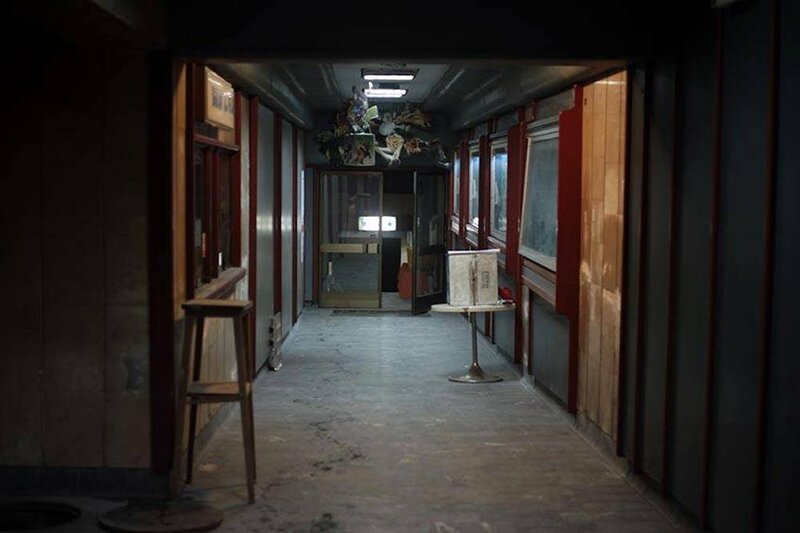 Zvezda cinema under occupation, 2014. The banner reads: "Movement for the occupation of cinemas." Image: Časopis Interfon under a CC licence. 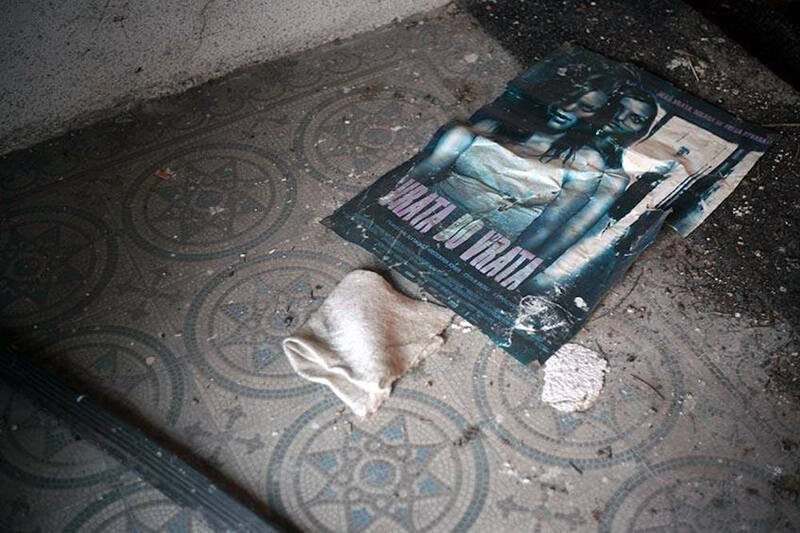 Inside Zvezda cinema during the occupation. Image: Before After/FB. 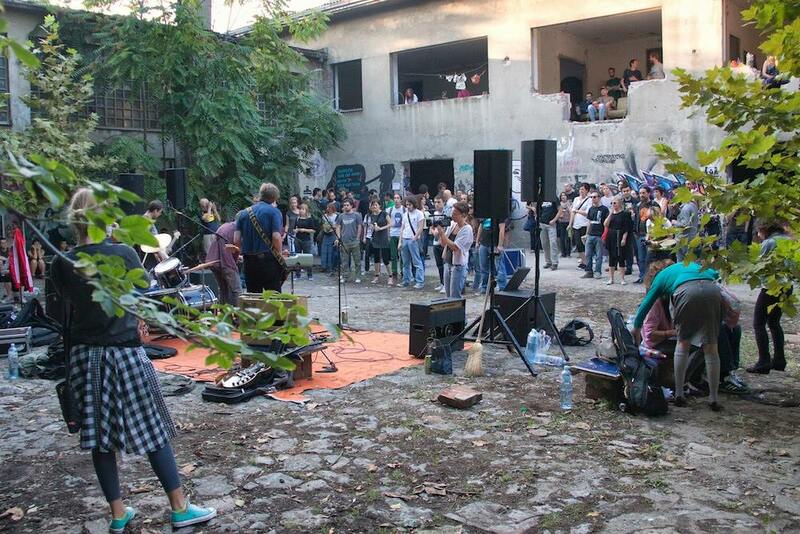 A concert in the courtyard of Belgrade's former Inex cinema, which was occupied by urban activists as an exhibition space. Wyspa Słodowa 7/FB. Public discussion during an exhibition held in the former Inex cinema building under occupation. Image: Nenad Nikolić/kursog.blogspot. A group of disgruntled citizens banded together in 2012 to bring these sham privatisations to public attention. Calling themselves “Ministarstvo Prostora” (Ministry of Spaces), this loose collective of political activists, students, journalists, intellectuals and pissed-off locals of every shade have organised protests and lectures, penned newspaper articles and blog posts to draw attention to the issue and try stem the intellectual degradation of Belgrade. They’ve even helped establish a public art gallery in a neglected alleyway in the centre of town, thus injecting some much-needed culture back into the city. 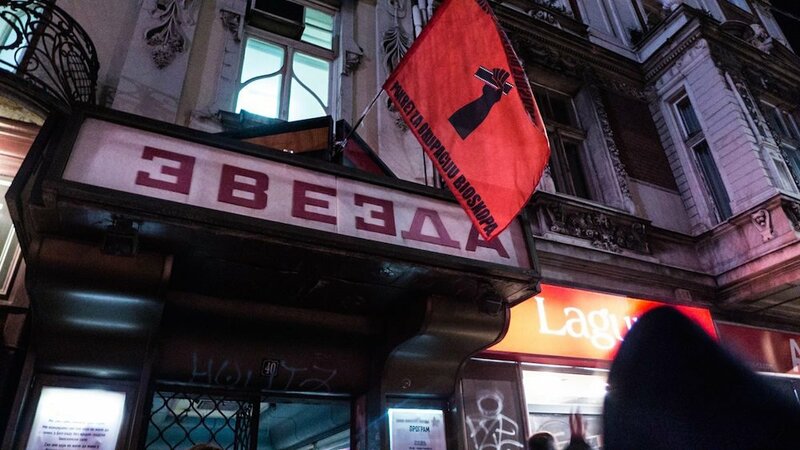 The high-water mark of the fight back, however, came in November 2014, when a group of students broke into and occupied the derelict Zvezda cinema in central Belgrade. To give you some context, Zvezda was sold off in 2007, alongside 10 other cinemas that comprise the Belgrade Film Group, to a local businessman and advisor to the then-ruling Democratic Party. Its new owner, who was legally obliged to get the cinemas up and running within two years, sold half of them off in suspicious circumstances and eventually found himself in prison on corruption and tax evasion charges. Invoking a little-known legal loophole that allows the city to reclaim neglected pieces of cultural heritage and re-open them for public use, these student activists took it upon themselves to clean up the cinema and get it back into working order – which they did eventually, using it to host their own screenings and open up a public platform for local filmmakers and arthouse movies. 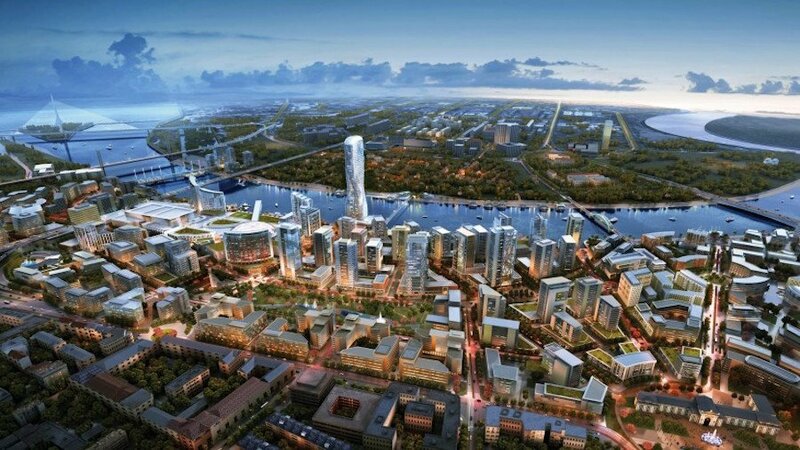 Rendering of the proposed development by Eagle Hills on the Belgrade waterfront. Image: Thebardsim under a CC licence. 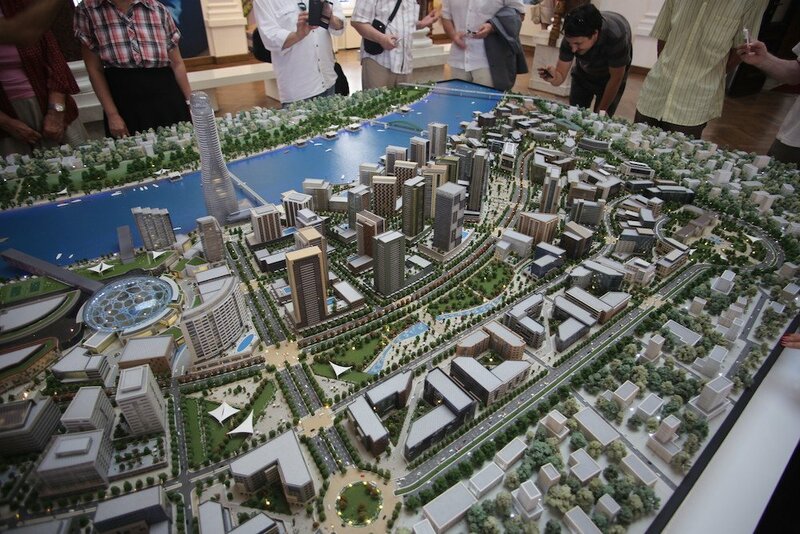 Scale model of the proposed development by Eagle Hills on the Belgrade waterfront. Image: dezindzer under a CC licence. 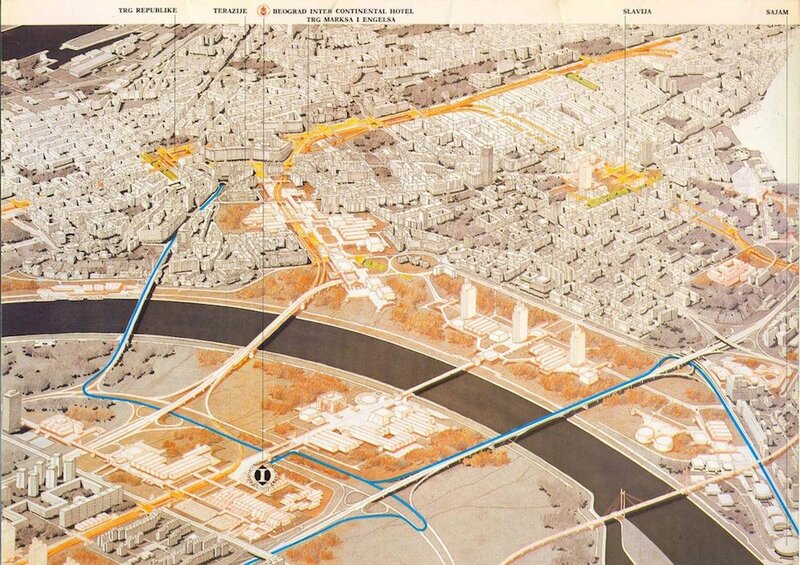 The Sava waterfront district as it currently stands. Image: Matija under a CC licence. Belgrade's Museum of Contemporary Art, which has been closed for "refurbishment" for over eight years. Image: antomoro under a CC licence. 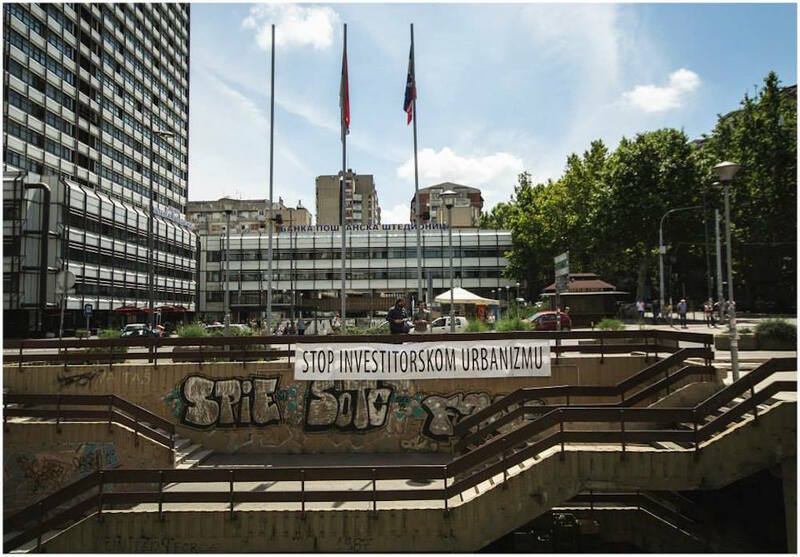 Ministarstvo Prostora activists hang a banner reading "Stop Investor Urbanism". Image: Ministarstvo Prostora/FB. Zvezda continues to function as a grassroots operation and will re-open on 4 May for the warm weather season, but new fronts continue to open up in the battle for the soul of Belgrade: another group called Nezavisna Kulturna Scena Srbije (The Independent Cultural Scene of Serbia) staged a sardonic “opening party” in front of Belgrade’s Museum of Contemporary Art, which has been closed for renovations since 2007 and was set to reopen for its 50th birthday in October 2015, although it remains shut to this day. A leading figure in Ministarstvo Prostora, Dobrica Veselinović, also heads up the protests against Belgrade Waterfront – a multi-billion dollar project between the Serbian government and Emirati property developer, Eagle Hills, that has become the dominant political theme in the capital and embodies the ruthless disregard shown for its residents by the powers that be. What these groups are battling against, fundamentally, is the marketisation of the city and, by extension, the human experience. This is the logical end point of neoliberalism, where the demands of the market overrule all human considerations. Their actions present a counter-argument to the bogus “meritocracy” of the right. 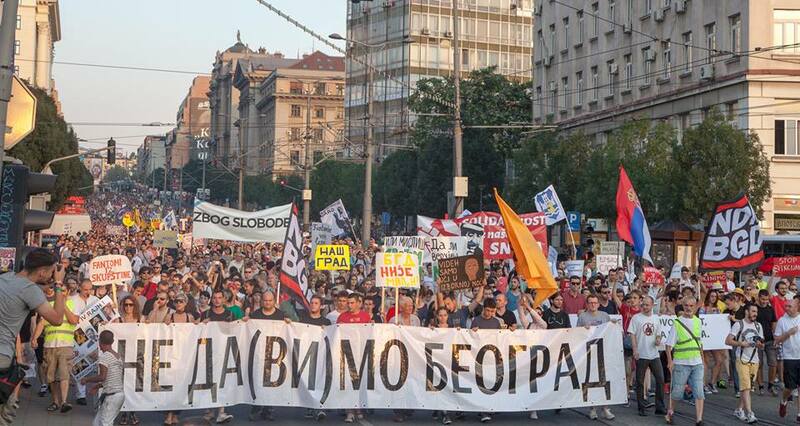 And while this may be more pronounced in Serbia, it should serve as a warning to us all because this is what conservative doctrine ultimately leads to – so remember to fight it at the ballot box; otherwise, like the residents of Belgrade, you might have to fight it in the streets. 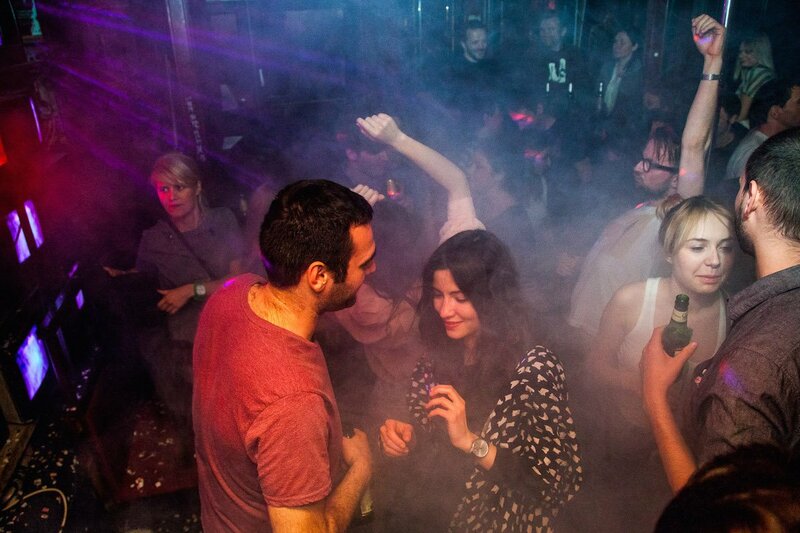 Belgrade is not the new Berlin: what’s stopping Serbia’s capital from rising to the top?